It may already be held up as a standard-bearer by those who advocate state control of the internet; it may already be home to the single most intrusive and overbearing online surveillance and censorship programmes; but remarkably, online freedoms in China have got even worse in recent times. Last month, the Communist government published a document entitled “Regulation on Collecting and Using Electronic Data as Evidence” [in Mandarin]. This document announced a change in the regulations governing messages posted on social media in China. As of October 1st, the Chinese regime is now able to use both public and private messages posted on social media sites as evidence in criminal courts. The new regulations have been issued jointly by the Supreme People’s Court, the Supreme People’s Procuratorate and the Ministry of Public Security. It is not the first time the Chinese Government has said that online messages can be used in court. But this is the first document to specify social media content. It also names a number of platforms including Weibo (the Chinese Twitter) and Moments, which is a part of WeChat (the Chinese WhatsApp) which works a bit like Facebook’s newsfeed. The new regulations permit the collection and use of “electronic data” from a huge range of sources including cloud storage services, instant messages, group chats, and even electronic financial transactions and log-in records. As well as serving to highlight the fact that nothing that the Chinese people do online is not scrutinized by the Communist regime, it has also raised fears of a further clampdown on freedom of expression and political opposition in the country. 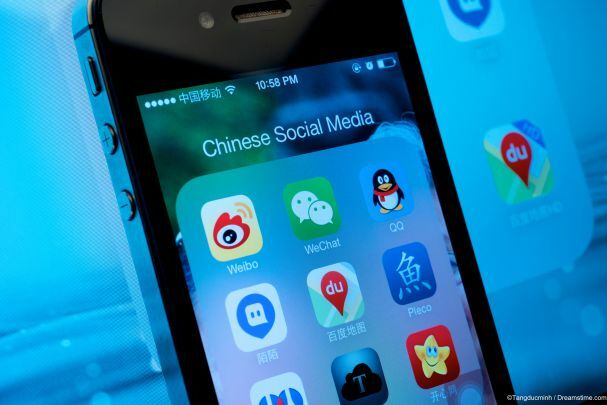 Many Chinese internet users have commented online that they have begun deleting their social media and messaging content for fear of reprisals, although how effective this will be remains to be seen. Meanwhile, online censors in Shanghai have begun to closely monitor comments published while watching online videos. According to a report in the South China Morning Post, the Shanghai Public Security Bureau has established a keyword database which will block and remove any words that “violate laws and rules”. They have also set up channels for the public to make complaints about comments and appointed staff to undertake real-time monitoring. The practice of commenting on live video streams is enormously popular in China, where it is known a ‘danmu’. In Shanghai, it is thought that law enforcement agencies have shut down at least one million ‘danmu’ accounts and researched the identity of users of almost half a million more. However, the practice is so popular and so hard to oversee that even the massive Chinese state bureaucracy is thought to not be sufficient to monitor it. David Bandurski, who is a Chinese media expert at the University of Hong Kong explained to the South China Morning Post why this crackdown, like China’s broader efforts to control online freedom, are a futile exercise. He explained that the Chinese regime wanted a flourishing online economy, but also want to completely control online information. “It is a cat and mouse game,” he said. But in a country where the Government rules by fear and intimidation, just the public proclamation that this activity is being monitored may well stop a lot of people from speaking freely whilst making such comments. The only true way to speak freely online in China remains to use a VPN to evade online censorship and allow you to surf the web anonymously. VPN use in China is high and continues to rise. And the more the Chinese Government continues to crackdown on freedoms, the more users will turn to them for protection.